Here are some words that the seventh grade said that describe their first day of school. Eager, crazy, exhausted, interesting, fast, ongoing, tired, hungry, sleepy, and nervous. I hope the rest of the school had a school day that was fun, exciting, and awesome! Summer's coming to an end! It's true. Summer is almost over. Time for back to school shopping and last trips to the pool. Time to finish those summer workbooks! If you never got a summer workbook, it would be a great idea to check the Sutherland website to get yours, or your child's. Supply lists are also available there. Sutherland's Open House for new students will be from 10:00 AM - 12:00 PM on Tuesday, August 21st. Also, Student schedules will be available soon through ParentPortal. If you have not yet received your password, please stop by school for a copy. 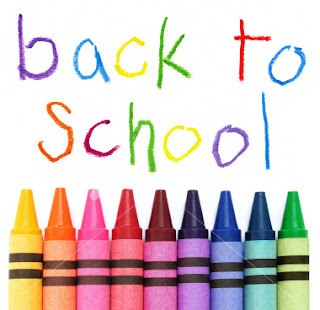 See you on August 22, for the 2012-2013 school year!